Home > Bluetooth > KOKKIA i10sWatch (Black): The Ultimate Watch. (Black iPod Nano 6G watch band + i10s Luxurious Black Tiny iPod Transmitter). iPod not included. 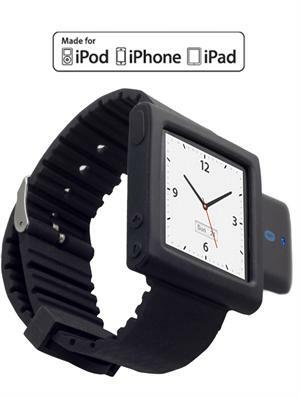 Wear your Tiny i10s snugly and comfortably with your iPod Nano 6G on your wrist, while you enjoy your wireless Bluetooth music. 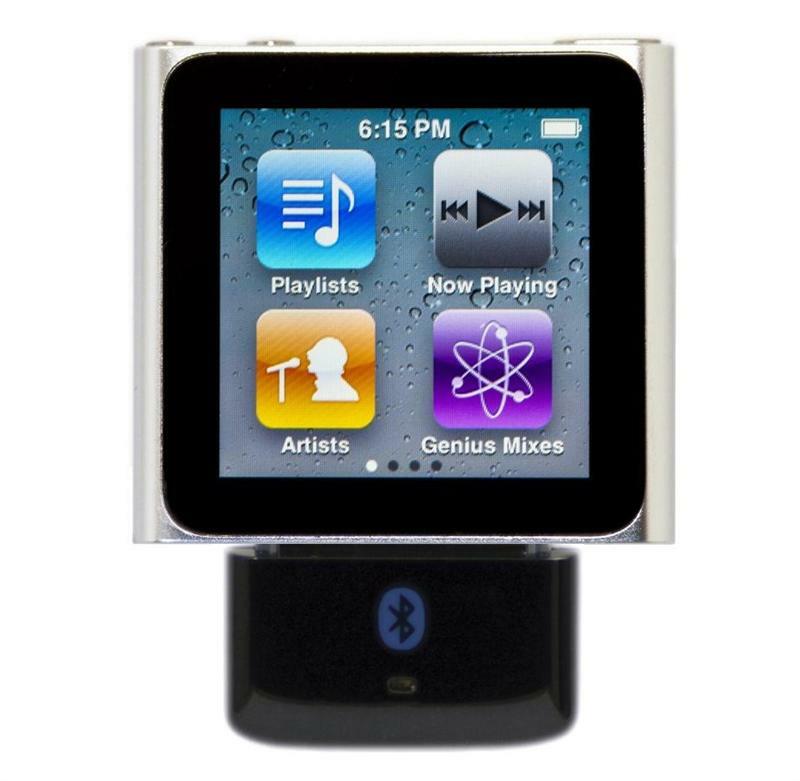 This product is BOTH Made-for-iPod and Works-With-iPhone, unlike many other iPod Bluetooth Transmitters that are only Made-for-iPod. Includes Authentication IC chip, which allows for local iPod, iPhone, iPad volume adjustment - that is not possible with other Made-for-iPod only transmitters that do not include Authenticaion IC chip. Bluetooth 2.1 + EDR, Class 2. Works with iPad, iPhone 4, iPhone 3GS, iPhone 3G, iPhone (1st gen), iPod touch (1st-4th gen), iPod nano (1st, 2nd, 3rd, 4th, 5th and latest 6th gen tiny iPod nano), iPod classic (80, 120, 160GB).